With the evenings now noticeably drawing out and the odd bud and flower appearing, you really get the feeling spring is slowly arriving. At Run and Become, we have customers of all abilities and aspirations. There are the totally dedicated, who have been running all winter, whatever the weather either, running and competing in cross country or road races or indoor track meets. Then there are those who, though not competing over the winter, have a spring race they have been aiming for since Christmas. It could be you have been logging the miles before attempting a spring or early summer event like the Virgin London Marathon or the Edinburgh Marathon or further afield in Paris or Rotterdam. It could be a more local half marathon or 10k. Or you may be someone who hibernates completely saving their running for the spring and summer or spends the dark winter days inside on a treadmill only venturing out once the first daffodils and cherry blossom have been sighted. Nothing wrong with that, we all choose where exercise and running fit into our lives and as long as we are doing something, somehow, then life is still fun! 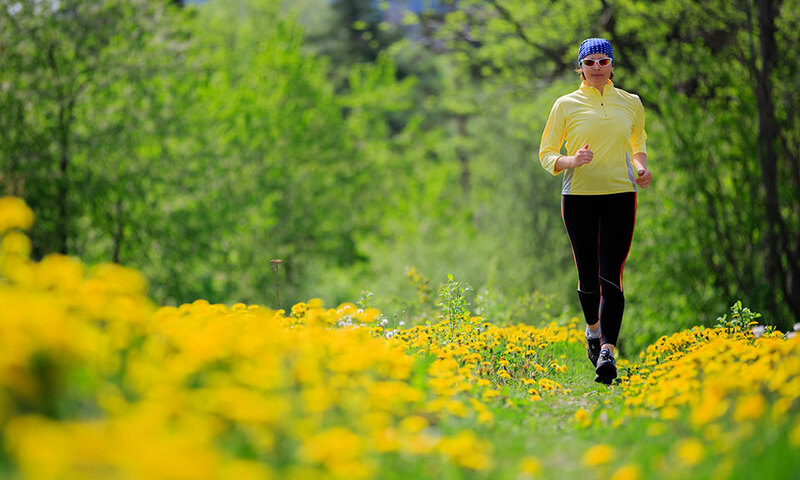 Whatever your goals, and whatever your ability, here are a few tips to help you make the most of the spring and hopefully put a spring in your step. If you have been in the gym all winter and are now venturing outside again with the warmer lighter days, be sensible about returning to the roads. They are firmer than a treadmill, and rather than a treadmill helping to carry you forward, your body has to work slightly differently and arguably slightly harder to propel you forward. So although you are not starting from scratch, you do have to take a week or two to adjust to the change of surface. Start with a short run and feel your way into things, only increasing the time or distance when you feel you are ready to. Whatever your standard, spring is a time when once or twice a week you tend to step up the intensity. Whether you are a track runner doing more or shorter speed repetitions, or a road or hill runner now doing longer or faster road or hill reps, be aware this is the time of year when coaches and physios report an increase in niggles and injuries due to a sudden or increased workload. Yes you have to work hard to make any progress, so don't talk yourself out of training harder, but be sensible and listen to your body for any signs of physical discomfort which could develop into an injury. If you have totally hibernated all winter for whatever reason - work, injury, family, lethargy - the same rules apply. You will not have the same fitness levels you had in late autumn, so you can't expect to pick up your training exactly where you left off. 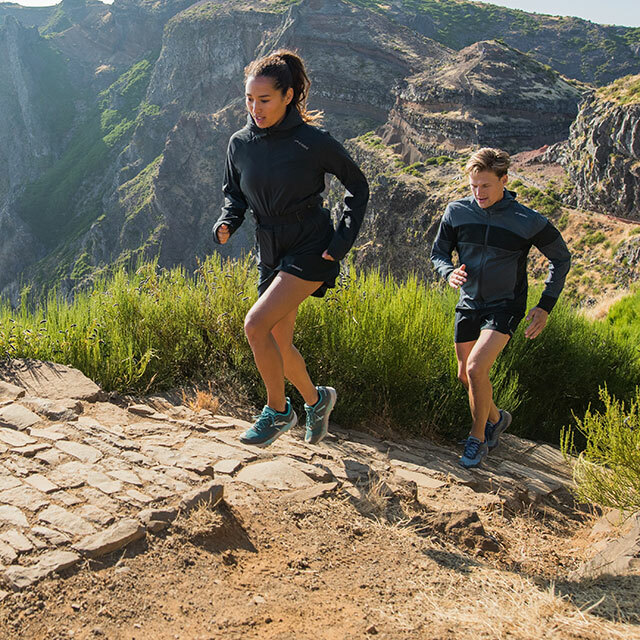 For the first couple of weeks just set yourself the goal of getting into a routine again, whether that is 2 or 3 times a week, even mixing running and walking to start. Just remember to build slowly. The human body has this amazing capacity to respond to most gradual increases in training if you treat it gently, but too much too soon can just set you back. 5. What's in your Wardrobe? Although it may be chilly when you first go out, you will warm up much quicker than during the cold winter months. Too many layers and you will just get hot and clammy, so it is time to check out what you have in your cupboard you haven't maybe worn since last October. Finally, here is simple way to put a spring in your step. This should be looked at as a bit of fun in addition to any faster session you may be doing each week. 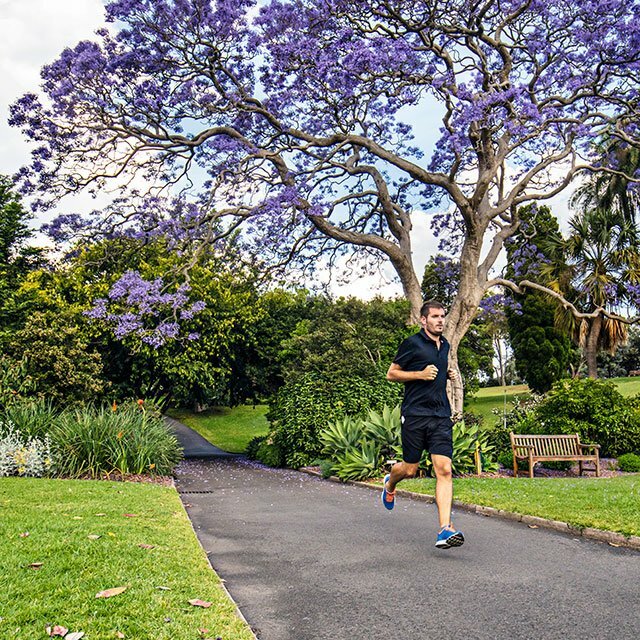 On one of your shorter midweek runs when you feel you have warmed up and are settling into your rhythm, just spontaneously increase your pace for anything from 30 to 60 metres or one or two lampposts or electric poles! Resume your normal pace, but in the course of the next few minutes repeat this about 6 times. The first time "just do it", as the saying goes and feel like you are a little kid running after a ball. As the weeks go by, try to concentrate on doing it with slightly better style - no sudden movements but just slightly higher knee lift and more arm co-ordination. Over the course of a few weeks, if done regularly, it will help in conjunction with your regular stretching, subtly develop a better "spring in your step" and hopefully improve your running style too.